Harvey - Peterborough. Nobody wants Harvey! Picked up as a stray and now in the pound. She is only about 8 months old and is a GSD/LAB. She seems very happy and in good condition. Seems to be OK with other dogs. Benny's owners are moving and he will be homeless. 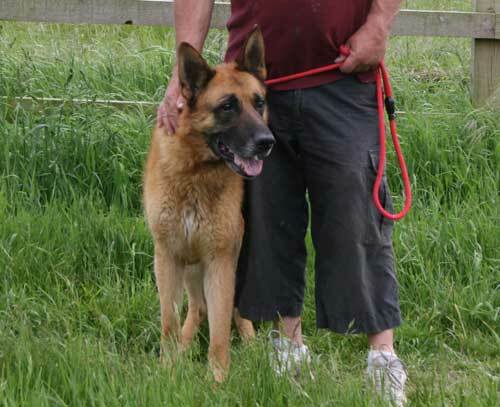 He is a big softy and loves kids, not great with other male dogs so would be better on his own. Zach is a long coated white male. Barks when you go in but then settles down. He is 6 years old and lives with another dog, likes cats and is OK with kids. He has a very gentle expression. He's good on the lead and good with other dogs outside. Owners separating. 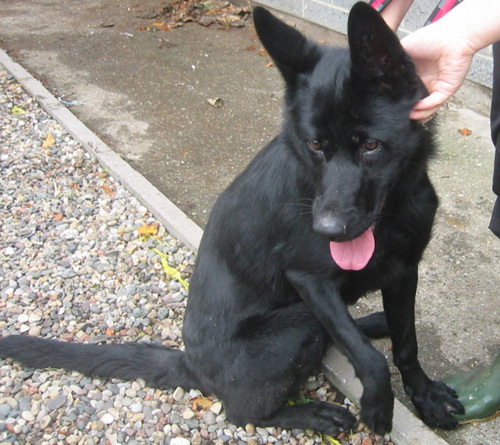 This lovely young girl is approx 14mths old and has had a bad start in life. She has been passed around and has become very stressed and has been chasing her tail. She loves people and children and although she wasn't good with other dogs initially, she has improved and is living in a foster home with 2 other dogs. She needs a permanent home now where there is someone around most of the time. She will be a very rewarding dog and a great companion. This lovely old girl is 10 and has been left with Worcester Animal Shelter for rehoming at this ripe old age. Although she is 10, she is still very active and likes to go on long walks and play with squeaky toys. 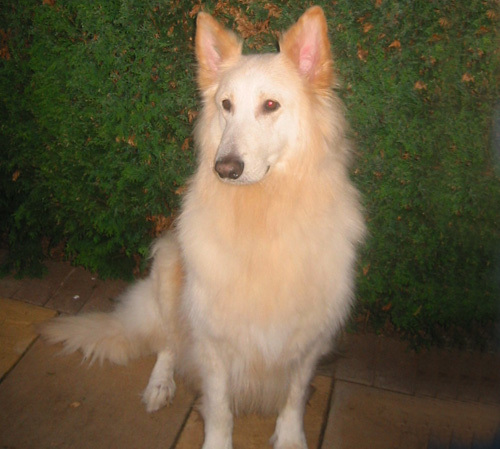 She can be re-homed with children over 10 years old and can be ok with male dogs but not females. Please, can you offer Rosie a retirement home? This lovely girl is 5 years old and she came from the USA. She is currently in kennels as she has become very protective of her territory and nipped a workman. 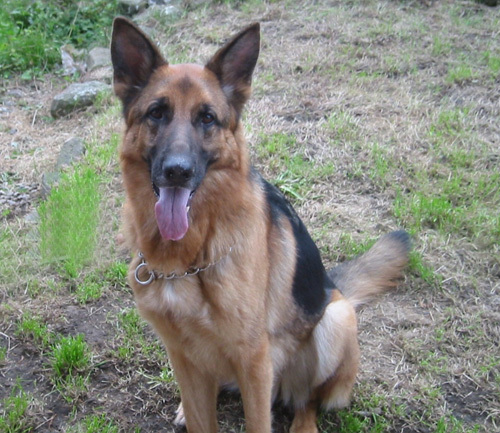 She has lived with young children and is OK with some other dogs (dominant ones) and cats. 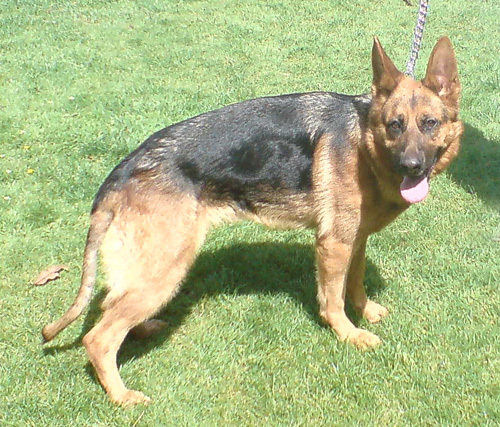 She will need an experienced owner who understands and can work with her protective nature. 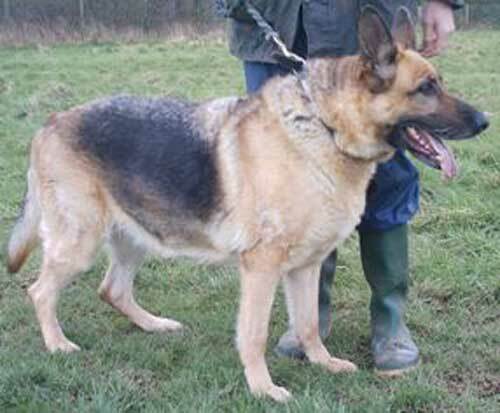 Skye is a very handsome lad, big and proud, full of life and loves to play. 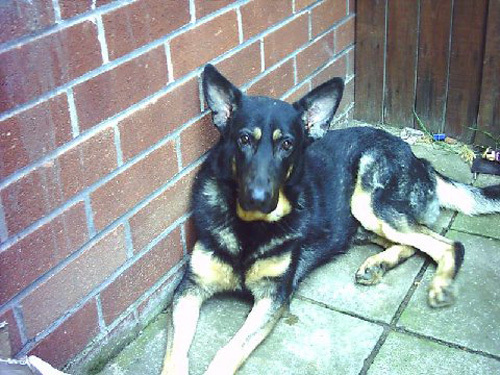 he is black and tan, short coated and castrated. 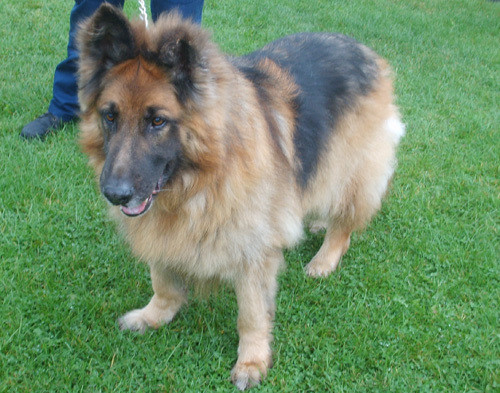 He gets on with owners other dog and 2 kids but uncertain with some dogs. He barks when you go into the house but soon settles down and comes for a cuddle. 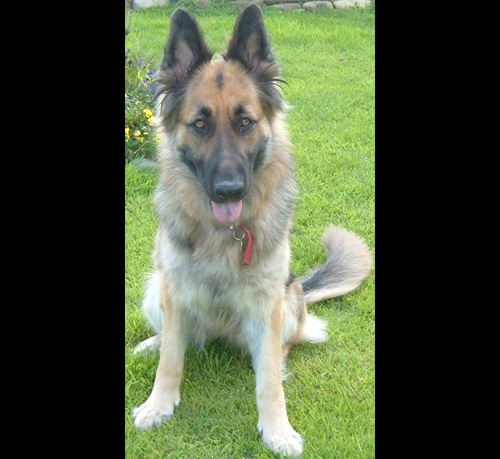 Fearn is a semi-long haired german shepherd with a lovely temperament but just doesn't get along with small dogs or cats. 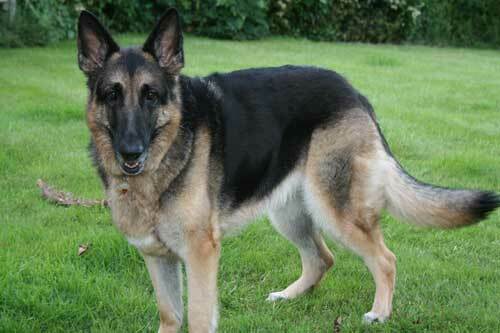 She is an obedient and a very loving dog who is good with big dogs, children and adults. She is fighting with owners small terrier. Fern is pancreatic and has to have pancrex v powder on her food. She is insured for this.